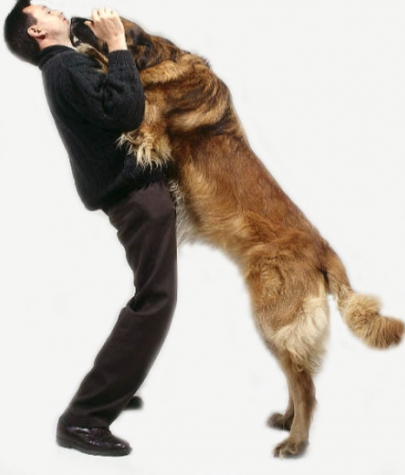 A common problem we hear at Sarasota Dog Wizard is owners that are fed up with their dog jumping up on people. It can make their houseguests feel uncomfortable or even frightened. The owner does not understand why the dog continues to jump on people, even when they’re told “down” or “stop” ­ – time and time again. Think of it like this: The most exciting part of a dog’s day is when their owner returns home and smothers them with attention. What the owner perceives as a warm, welcoming greeting is actually instilling a really bad habit in the dog. The number one reason that a dog jumps up on houseguests is because their owner has told them that it is okay through their own daily interactions. Dogs learn from routine, pattern and reinforcement. 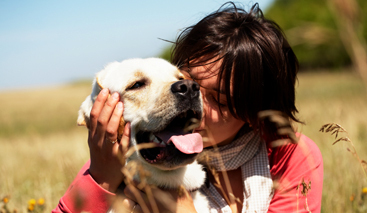 If the dog has received praise and positive attention for jumping up on their owner when they arrive home, it comes as no surprise that the dog looks for that same response from other people that they meet. 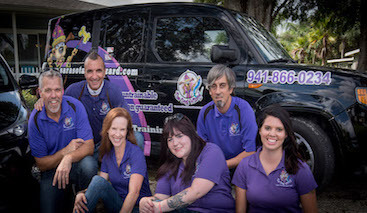 The Sarasota Dog Wizard team of professional dog trainers can help reshape the way an owner engages their dog. It is critical that one learns not to reward the dog with positive attention until they have calmed down. It is also necessary to immediately address unwanted behavior, such as jumping up. A dog needs to learn that they will not be rewarded until they are in a calm frame of mind. Professional obedience training can introduce basic commands to your dog that will let them know when certain behaviors are okay or not okay. After the dog is calm, it is then acceptable to bend down and address them. Your dog can eventually learn that you will come to their level, rather than having them jump up to yours. When guests visit your home, a calm introduction is the key. 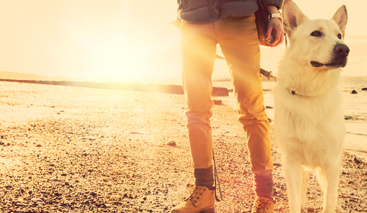 Once your dog has learned basic obedience commands, you can control the interaction. Do not get the dog overexcited about the visitors you’re expecting, but rather have them in the ‘sit’ command and allow the guest to approach the dog themselves. It is important to never wait too long to address jumping or other bad habits. Being prompt with redirecting bad behavior is the best way to discourage it from happening again. Sarasota Dog Wizard can provide the training your dog needs to form good habits and outgrow old.